For those not at SEMA, check these out. For those AT SEMA, check these out! These 4 show stoppers are sure to impress, so be sure to make your way back to the South Hall before the week ends! 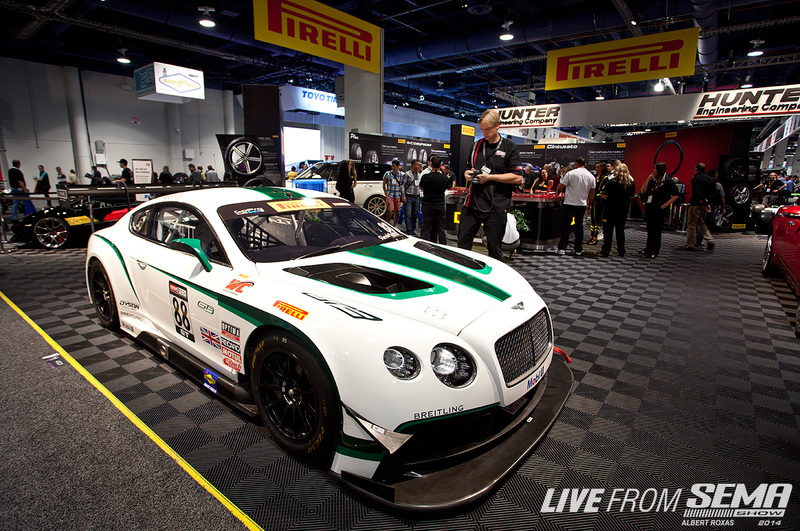 More go fast from Bentley - their GT3 Racecar in full livery will definitely stop you in your tracks. 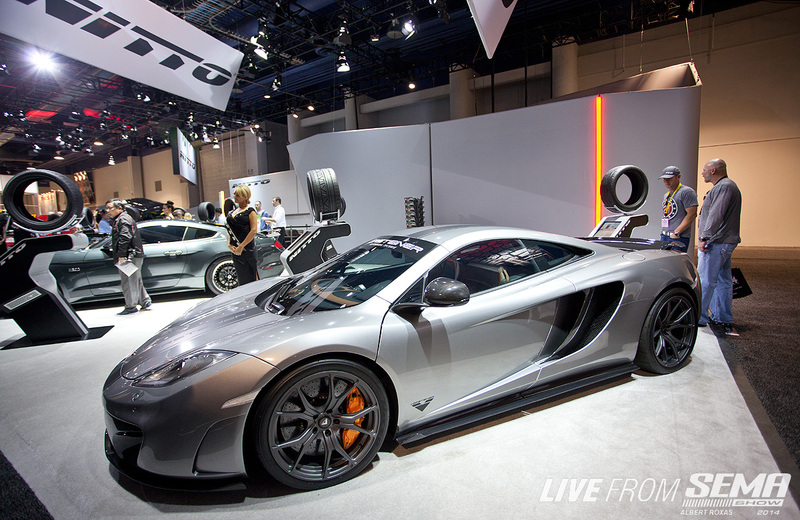 Vorsteiner's McLaren MP4-12C in the Nitto booth. More racecar for you, BMW's own Z4 GT3 Racecar in their BMW Performance booth - the automotive groups first venture in playing with the Aftermarket. What's old is new again, the champion of the JDM aftermarket. 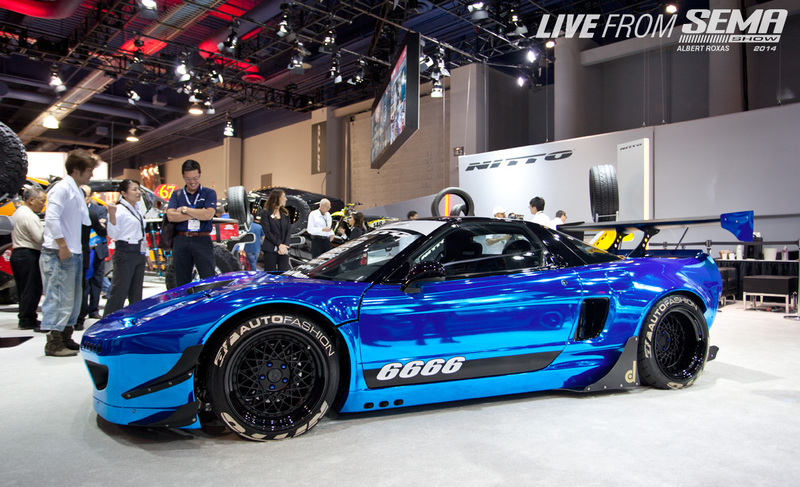 The Acura NSX is still the king, freshly renewed with a full Rocket Bunny Kit. Kei Miura himself came out to meet and greet as well as personally show off his rolling art. 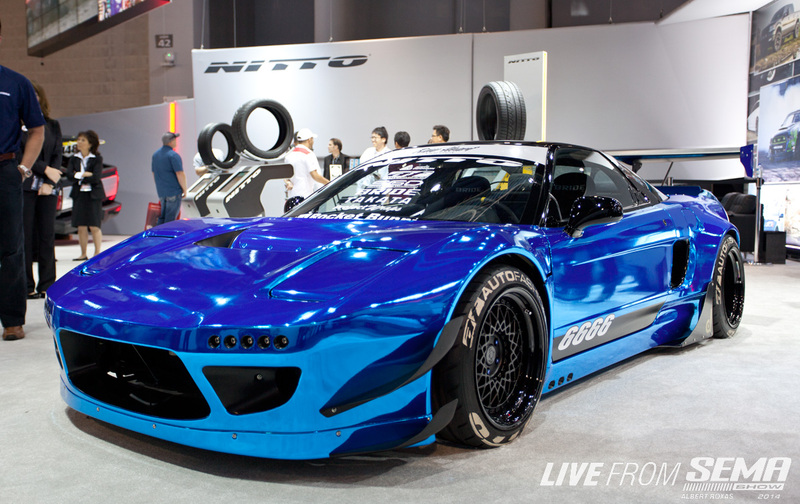 The blue chrome wrap and and Enkei TraKyoto wheels really match the aggressive nature of the kit. SEMA tends to be overwhelming (even for us seasoned vets) but make sure you take the time to checkout these 4!